Chairwoman & founding director of the Tsao Foundation, a regionally oriented non-profit foundation dedicated to aged care and ageing issues. 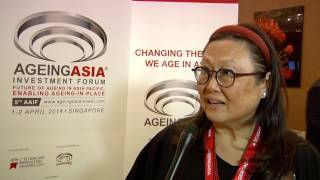 Mary Ann Tsao is the chairwoman and founding director of the Tsao Foundation, a Singapore-based but regionally oriented non-profit operational foundation dedicated to aged care and ageing issues that was chartered by her grandmother in 1992. 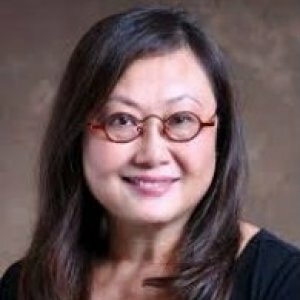 Dr. Tsao serves on numerous boards and committees of governmental and non-profit organizations in Singapore, and is a frequent invited speaker at local and international conferences. For her work on ageing, she received the Public Service Medal in 2000, Public Service Star in 2004 and Public Service Star (BAR) in 2015 from the government of Singapore. Dr. Tsao has also worked as technical advisor with numerous multilateral agencies, such as WHO Geneva office's Ageing and Life Course Unit, UNESCAP (UN Economic and Social Commission for the Asia Pacific), ASEAN (Association of South East Asian Nations) Secretariat, as well as various international agencies on aging, including HelpAge International- She is also a director for FBNA - Famiy Business Network Asia - a nonprofit association of family businesses, committed to business practices that serve as a model of sustainability. She is a US trained pediatrician with a public health background, specializing in community and primary care planning, and social medicine. She has extensive experience working with disadvantaged communities in the US and Singapore. For her work on ageing in Singapore, Dr Mary Ann Tsao, chairman of the Tsao Foundation, was awarded the Public Service Star (Bar) at this year's National Day Awards. 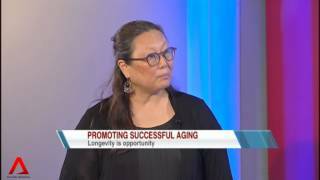 Dr Tsao, 60, currently serves on various boards and management committees, including the National Council of Social Service, Centre for Seniors and Viva Foundation for Children with Cancer. Dr Mary Ann Tsao, chair of the Tsao Foundation which was started by her grandmother, says: "Many business families feel this moral responsibility to share some of their wealth so there is not so much income inequality in society." Mr Lim is among the 120 elderly residents in Whampoa who have received help from the community-based programme by the Tsao Foundation, piloted since 2012 to help seniors near their homes. The programme, called Community for Successful Ageing (ComSA), aims to offer affordable and accessible integrated health and social care. It will be officially launched on Saturday and aims to help nearly 700 residents by March 2017.